I have two bucket lists for Paris - (1) to see the Eiffel Tower, and (2) to have a fancy meal. To save my time and money, I combined the two in one. So I had a fancy meal at the Eiffel Tower. A toast for that! There are 3 restaurants on the Eiffel Tower - Gustave Eiffel Room at first floor, 58 Tour Eiffel also at first floor and Le Jules Verne on the second floor. My initial choice was Le Jules Verne but I couldn't confirm my trip to Paris earlier, the restaurant was fully booked a month before I arrive. 58 Tour Eiffel was the next option. The restaurant is also fully booked (we were there during holiday peak season on 30th December), but we managed to get a table for two. Getting onto the first floor of the Eiffel Tower wasn't easy, but at least we have a separate lift to go up. The crowd was unforgiving. At least 150 people or more were dining at the restaurant. In a classic Parisian fashion, the waiting staff did very little to speed up their movement to sit us fast. Our reservation was at 9pm and we had our table no earlier than 9:30pm. Standing at the door in a freezing cold weather have killed the entire experience. Bread with butter only. I was looking for olive oil and balsamic but they didn't have it. Overall, I think that the price is OK (€120 per pax), the taste was mediocre, the view is magnificent (except that it was covered in darkness) and the experience is not as profound as it sounds. I guess it could be better during lunch when the view is bright and you have lesser crowd in the restaurant. It is cliche to say this, Eiffel Tower is really breath taking. I had a love at first sight when I saw the tower lit up with twinkling lights at night. It sparkles like a diamond. Photo does not do justify the beauty of the tower. It is so photogenenic at every angle. I didn't have enough of it and went back the next day to have a view of it under the sun. Whether you see it at night or during the day, it is just as gorgeous as it is. 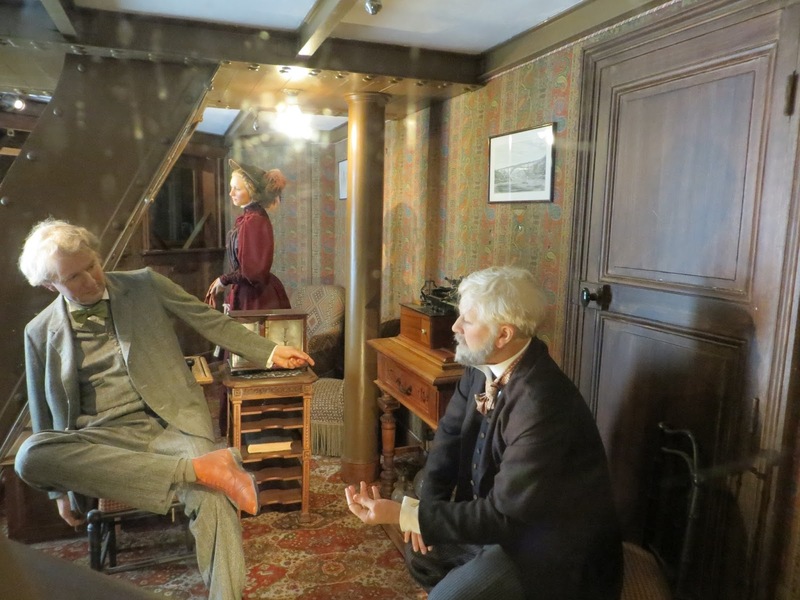 P/S: Do you know that the creator of Eiffel Tower, Gustave Eiffel, has a secret apartment on the top of the tower? I got to know about it in The Da Vinci Code book.